First of all, you do not need a lot of SDK's. You need just one, if you do not know what to install just hit the "Install C++" button in VS Installer while installing the software, that will be enough. Now, to fix your problem, open Hercules-15.sln and right click on solution (inside VS Studio) -> Retarget Solution -> Okay. Now try to compile your emulator. Current Version: 04 March 2019 Download Links (~4GB): Download from MEGA | Download from Alternative Link What is that? This is newbie package which contain 1 click solution for launching hercules emulator in a single click. This package only for education. Do not use this package anywhere in production. This package good demonstration of how everything should configured by yourself to make it work. We can find here the good guide on how to configure everything by yourself: http://herc.ws/board/topic/16521-how-to-setup-offline-server-for-personal-development-use/ What inside the package? You have 7 folders: 01_emulator = here emulators (pre-compiled and pre-configured) for RENEWAL or classic PRERE mechanics 02_client_side = here is your client-side what need to copy-paste to your clean kRO client 03_openserver = here is Open Server (mysql server where stored your game database and which required by the emulator) 04_useful_tools = here are different useful tools what you usually will need when will work with the emulator or databases 05_misc_repos = here are repositories from which it have built the client-side, and exe patched. 06_cmder = this is tool will be good for you to update emulator to latest version (and other files in misc_repos) 07_clean_kRO_client = this is clean kRO client (2018 somewhere in march updated), need for you to run your own RO copy. How to use all of this? extract files inside 01_emulator, 02_client_side, 03_openserver, 07_clean_kRO_client Now what emulator version do you need? Latest (current official servers) (renewal mechanic (suras, dorams, etc classes)) or classic PRE-re (champion, high wizard, high priest)? Now if for example you use PRERE mechanic (where is high wizard class, paladin, lord knights and no 3rd classes) your steps is next: a.) go to 02_client_side\FOR_PRERE_EMULATOR\ b.) select all files in this folder (FOR_PRERE_EMULATOR) and copy (CTLR+C) c.) now go to 07_clean_kRO_client/clean_kRO_client/ folder and copy files here (overwrite if windows explorer will ask to do that). d.) now you need run OpenServer (it's server which store all your players data inside database, required by the emulator) and run it. e.) Click on Red Flag -> Run server, make sure in your tray you got Green Flag. f.) Now go to 01_emulator\hercules_PRERE\ and run: run-server.bat g.) Now go to your 07_clean_kRO_client/clean_kRO_client/ and run: 2018-04-18bRagexeRE_patched.exe Your emulator, your database, and the client are running. Now you can try to login in the game. About Accounts: How to make a GM account or how access database? For that, you need to click on Green Flag -> Advanced -> PHPMYADMIN In login field of phpmyadmin enter: "root", in password field enter nothing. (no password) Press enter or login, and you will be in the database. Databases well structured, so mostly always you need not edit too much there. How to make GM account? You opened PHPMYADMIN. Now select your database, and find in this database table called: "login" Open this table, and find your account name, and you will see column "group_id". Edit number in this column (group_id) to 99. 0-99 = your GM level. 99 = super admin with all privilegies, 0 = simple player with no privieleges. Okay, everything working for me, what can I do next? My short answer: http://herc.ws/board/ Read all topics, read different guides, read info about NPCs Read info how to add NPCs, how to enable them, how to disable them Read /doc/ folder files inside your emulator folder Read wiki pages: https://herc.ws/wiki/Main_Page Do experiments and do not afraid to destroy everything or remove. Just do mistakes and errors, it's how people learning something new, though mistakes. DO not afraid to do a lot of mistakes and ask questions. People will help you if you will try to help yourself first and will make good questions with some research before posting messages. What tools can I use for making everything much easier for me? Tools what you MUST have: - Grf Editor - Server Database Editor - VSCode / Notepad++ / Sublime Text / Atom (any of these editors and select always C syntax highlight for opened files) I want to play with my friends on my server The solution what you will find by the link below is a terrible solution. But usable for a small group of people who for education only want to launch their server ONLINE (for others). This is SUPER bad, and never do that, (it's weird, after only time you will understand why). But if you still asking here is the link: https://gist.github.com/anacondaqq/3eae8e4afb5d3c3880d08b95b2c54b78 =============================================== I want make a donation as a gesture of goodwill: =============================================== Ask administrators here: http://herc.ws/board/ If they accept donations or not, I found none donation link. Optionally you can always support next guys: 4144 for massive help to current RO scene at all by his hard work. 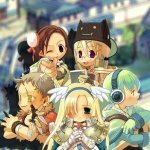 AnnieRuru for a lot of scripts, helping newbies on the forums http://herc.ws/board/staff/ - all these guys zackdreaver for a lot of efforts on a translation project and to all guys, scripters, mappers, etc players who spend their time, their efforts just for you to make everything free what you see here. Sorry if I didn’t mention someone. Yes, it's rude. But it's the truth (my guide bad too, btw). I did not say anything about you or anyone especially, but I reading many topics on another forum and found out that just a few topics are written not well (tutorials only I mean). Even for example just GitHub wiki pages for both emulators, it's so big pain to follow/understand/do... I think the guys who wrote it, even not tried to follow their guides at all. I tried, and can admit = they are wrong, and can be changed (when will have free time, and if my PR will not be rejected, I can change it) This what I tried to do with the offline pack, just throw newbies in water, not drive them through links for days \ for months in search of water. When you have everything ready and working, it's much easier for you to navigate the rest, do experiments, break everything, destroy everything, then start again, and again, and again, by doing many many many mistakes which learn more, then any guides posted on any forum. Yea, because I'm busy right now. Not sure if "something new" better. I checking github every signle day and read commits, changes, and I think after changing map flags, and touching other staff, rathena not stable at all right now, and have much more bugs, then before these changes. So 07 July 2018 = old, but not so bad. false =) How to update all components = explained. All tools included too. In short if it's something about emulator: run cmder git pull origin install VS 2017 (select C++) Open rAthena.sln (must be opened in VS 2017) Right click on rAthena Solution -> Retarget Solution -> OK Press CTRL+B Optionally if were changes related to sql: run OpenServer -> Click On it -> Phpmyadmin -> login to it -> select database -> import -> import update to your db. done, emulator update done, for all of this usually need not more then 3-5 mins. If rathena wouldn't be crazy and wouldn't use YAML, which is absolutely incompatible with many compilers properly without a lot of issues (i like hercules over rAthena because of such small issues) (they know what we're talking about), I'd also can deliver a portable compiler (250MB) for compiling the emulator, which would immediately help and compile the emulator and apply the necessary sql Updates (if necessary) So it's easy too. But again, i have nothing against your, or anyone else guides, if you write it = write, many people will find them useful. If you can, please edit Images in your topic, because right now they looks like: just change links to https://raw.githubusercontent.com/AnnieRuru/customs/master/server%20setup/Step%207a.png format. Official RCX website: http://lab.planetleaf.com/memory-of-rcx (development stopped) RCX discussion board: http://forums.irowiki.org/showthread.php?t=33754 Question: Anybody have made RCX work with 2013-08-07 work? If somebody done that: share please your settings. My problem: Ragnarok Client (,exe) crashing when RCX complete loading (after progress bar from RCX). xD, i can bypass any script-based antibots. No jokes. Try to think about packet encryptions, and change login packet, it's more then enough against 99% of botters with opencore. My server just got hacked, this might be why. exactly. FluxCP not secure, and never was secure. A lot of people threating cerescp and other control panels, and think "flux is stable and works fine", but it's not. There are tons of REPORTED bugs, which or ignored, or removed from the board, a lot of people really don't care, because not they are loosing a real money / reputation As for me, i've report about this bugs since 2011, and only few guys was take attention to my words and tried to help. Other people who manage fluxcp repository ALREADY KNOW about the bugs, and really do nothing against them. Maybe they doing it specially to take DB's from servers, or maybe they are just really don't care. My suggestions: any static php analyzer will find in any fluxcp revision a lot of security holes, all of them reported. I'm suggest DO NOT USE fluxCP, this is very bugged... And that is shame to alll (to me too). Bugreport related to GRF Editor & Encryption. What i have: lzma compressed grfs (some of them) some of grfs not compressed by lzma (default compressing) some of grfs have redirected indexes. i'm add some grf to encryption, (do not modify client), and when i replaced encrypted grf with the old one -> client imposible to start. The reason of this problem was in folder name where Ragnarok online files stored. My folder name contains russian characters + "spaces". After renaming to "only english characters name of the folder without spaces", all start to work fine. [item_rate_card_boss] How change drop rate to smaller value then 0.01%? I want to decrease drop rate of cards to smaller value then 0.01% How can i do that? // The rate at which cards are droppeditem_rate_card: 100item_rate_card_boss: 100item_drop_card_min: 1item_drop_card_max: 10000 Where item_rate_card: 100 = 0.01% Where item_rate_card_boss = 0.01% How can i change item_rate_card_boss to 0.00001% ? Is it possible? Thank you. How temporary a [email protected] variable is? What difference bitween hercules, rathena, 3cema, eathena? Don't think so. I think you need to be hosted under their servers to use their protection. That is sad, because my projects very resource intensive (due to different DDoS attacks) & i'm jumping to different host if i need (to make gameplay smoother). + different gre tunnels + custom internal networks. Sad... Okay, i will wait for a public release, i hope it will be available.